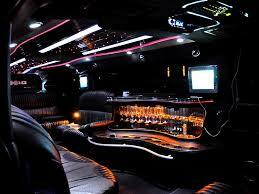 Super Stretched Hummer Hire for Cairns, Port Douglas, Mission Beach, Townsville and all points in between. Why hire a limo when there’s a showstopping stretched hummer waiting for you! We believe your arrival experience should be just as much fun as the main event itself! We offer our charter service for a range of different party celebrations. With three bars to keep your drinks cold, awesome sound system, cooling air conditioning and luxurious leather seats, your stretched hummer travel experience one you will never forget. The opportunities are endless, you choose the scene! With cold drinks, music pumping, strobe and laser lights, you can be partying as soon as the Hummer’s doors are closed. But if you’re looking for elegance and sophistication, look no further! Our interior offers a perfect setting for kicking back and relaxing with a cool drink while watching a movie on the 3 screens. Or open up a bottle of champagne, set the mood with music of your choice, lounge in luxury, and let us take you where you need to go. The vehicle is immaculately presented for every occasion and your professional driver will deliver a comfortable and safe journey.